A medieval monastery in Belgium went to major effort to drain wetlands on its land, building structures on artificially raised soil, a new study finds. 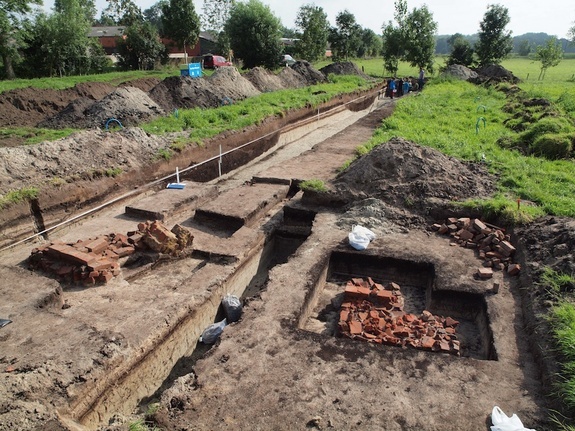 Archaeologists excavated the Boudelo Abbey, once part of the medieval county of Flanders, in the 1970s. Until now, however, they had no idea that an extensive drained wetland surrounded the site. "They placed these abbeys in all sorts of marginal areas to cultivate," said study researcher Philippe De Smedt, a soil scientist at Ghent University in Belgium. In the High Middle Ages between the 12th and 14th centuries, Europe's population was growing, De Smedt told LiveScience. Monk labor provided a solution to the crowding by making the land livable. "The former rulers of Flanders then handed out those territories to the abbeys to make the areas more habitable and more profitable," De Smedt said. De Smedt and his colleagues weren't looking for medieval work projects when they stumbled across the wetlands find. They were searching for buried geological features, such as lost riverbeds, using a technique called electromagnetic induction (EMI). With this technique, researchers transmit an electromagnetic field to generate currents in the soil. The currents create their own, secondary electromagnetic field, which is detected by an aboveground sensor. Comparing the two fields allows researchers to determine the electrical conductivity of the soil and the magnetic susceptibility (how easily it can become magnetized). Knowing the electrical conductivity in turn provides information about the soil texture, organic matter content and water content, De Smedt said. Magnetic susceptibility tells researchers about soil minerals, organic matter and other features. In particular, magnetic susceptibility can reveal if soil has ever been heated — and a handy way to reveal buried bricks, which are made of baked clay. Early investigations of the area turned up unnatural-looking variations in elevation. A full survey revealed an extensive ditch system and signs of brick structures. "We were in for quite a surprise, because previously we had no idea if there was going to be something there," De Smedt said. A three-dimensional reconstruction revealed that the ditches (detectable because they'd been refilled with lots of organic matter and clay soil) linked up to modern-day drainage ditches, suggesting they were used to turn the marshland into something more suitable for cultivation and building. 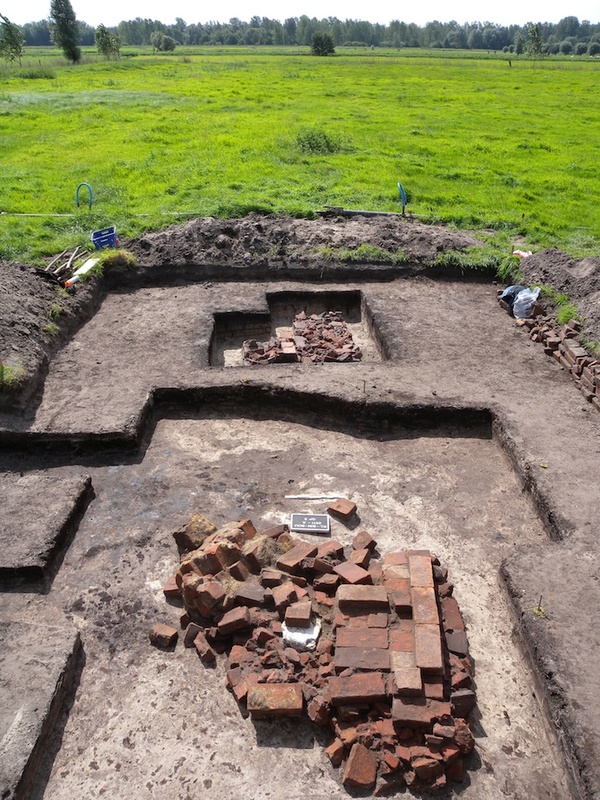 Two small excavations at spots where bricks were detected turned up foundations dating back to the 13th and early 14th centuries. The purpose of one of the buildings is unknown, the researchers write today (March 21) in the journal Scientific Reports. The other appears to have been a monastery barn. The project would have been a major undertaking, given the saturated soil, De Smedt said. The research team had to drain the area themselves for several days before excavating. "Imagine what it must have been like for those people to do with just a shovel," he said. The barn was built on a naturally high spot, but the medieval builders also created a higher elevation area with sand to build the second building. The abbey itself sits on a nearby sand ridge, out of the swamp, but military struggles and repeated floodswould eventually drive the monks out in 1578. The EMI technique is a useful tool for archaeologists, because it can provide lots of information about what's underground without anyone lifting a shovel, De Smedt said. It also allows for investigation without destruction of a site by excavation. And it helps put human structures in their environmental context. Along with scientists from other institutions, the researchers are using the same technology in Austria, in the Roman town of Carnuntum, which boasted its own gladiator school, and in Stonehenge in England. "There, we try to see if there is landscape variability related to the prehistoric monuments, if there is a connections between the archaeology and the landscape," De Smedt said.